Participant : Anyone who wish to attend. 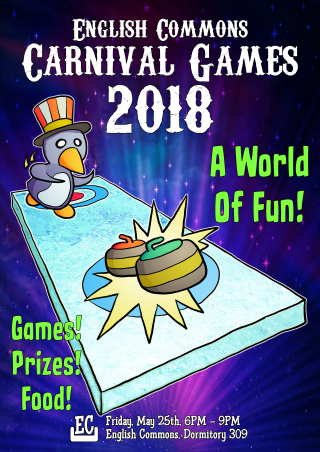 Carnival Games 2018 will be held at English Commons on Friday, May 25th, from 18:00 to 21:00. This is a family-friendly event, open to all faculty, staff, students, and their guests. There will be fun games, nice prizes for the winners, as well as free snacks and drinks for everyone. For those interested, please come join us for a world of fun!